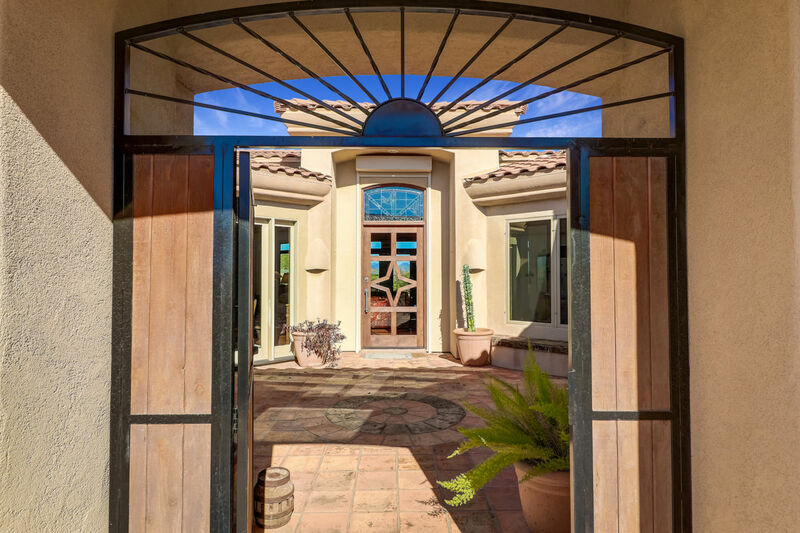 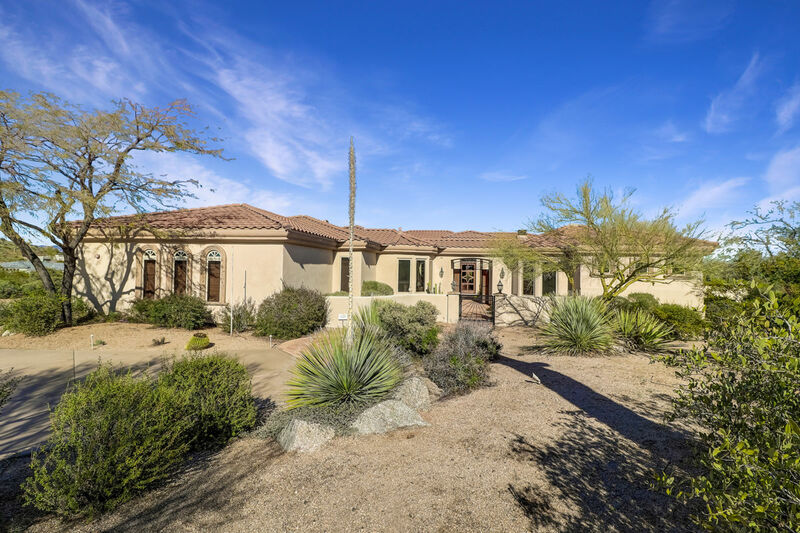 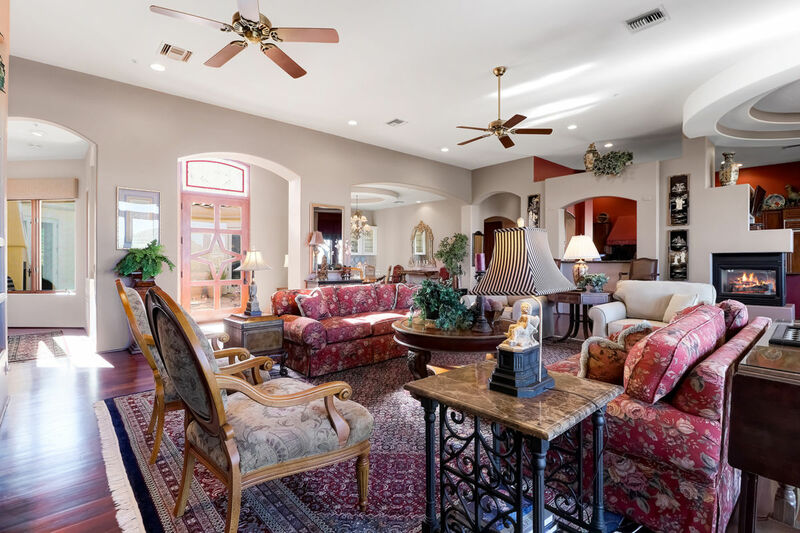 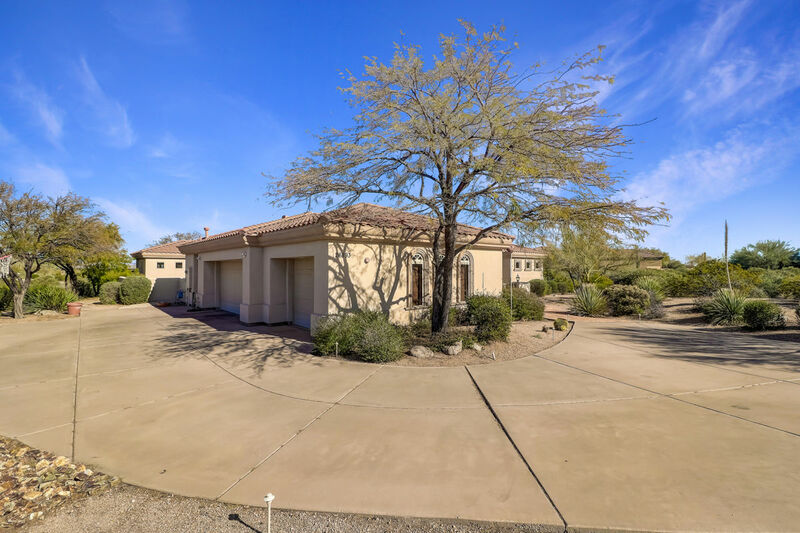 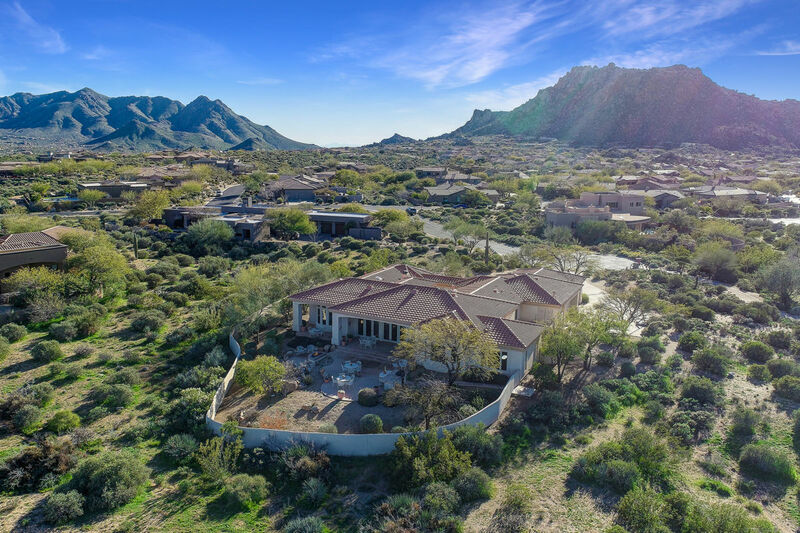 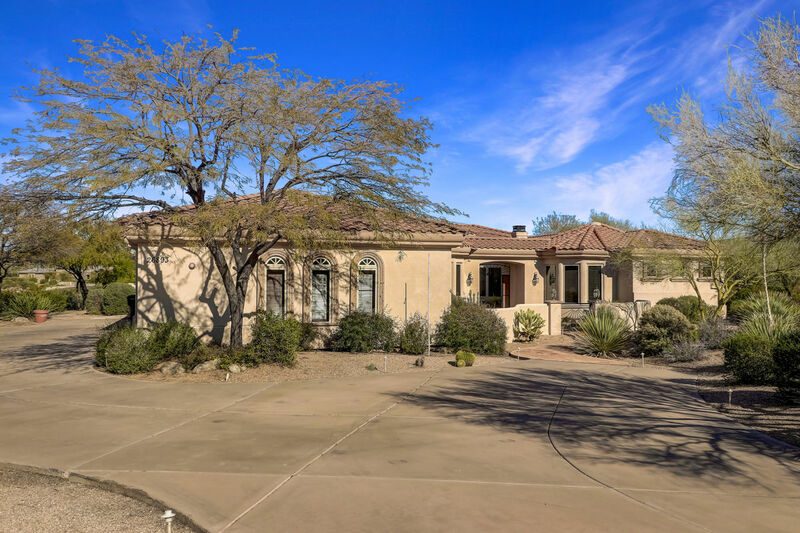 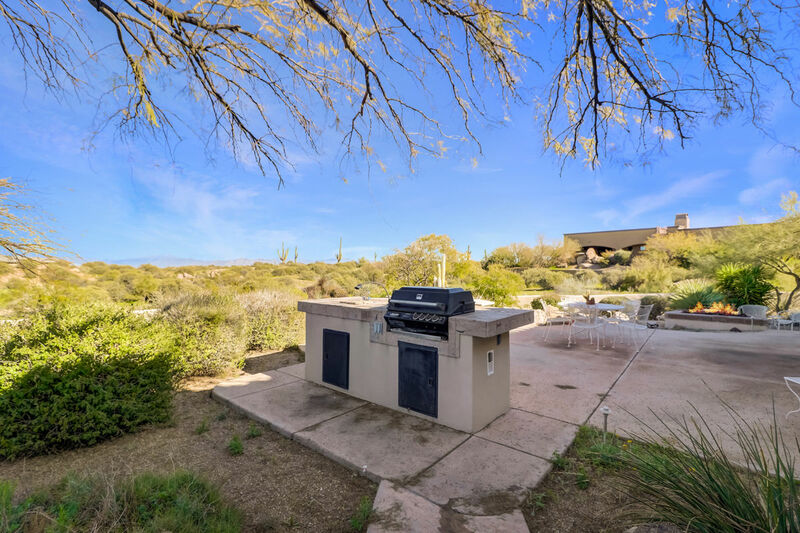 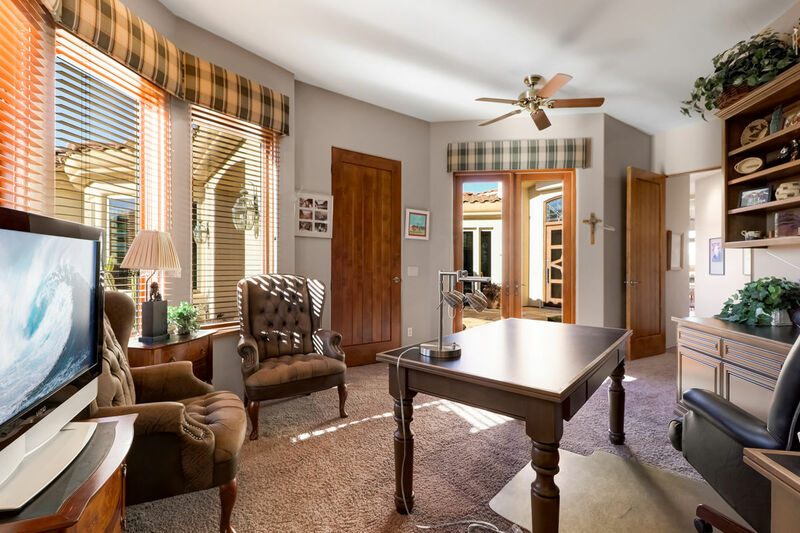 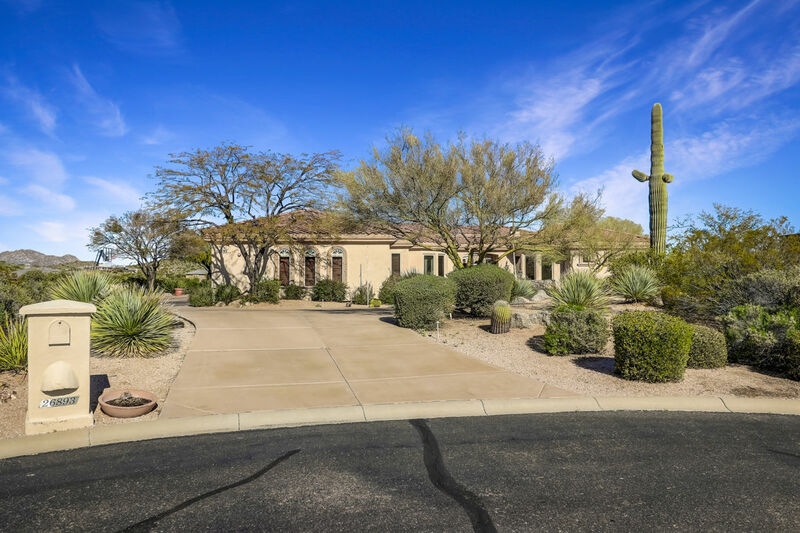 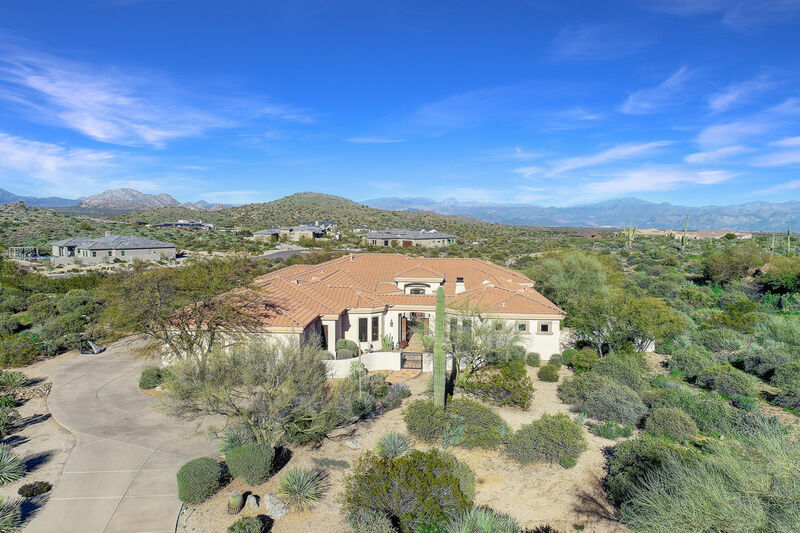 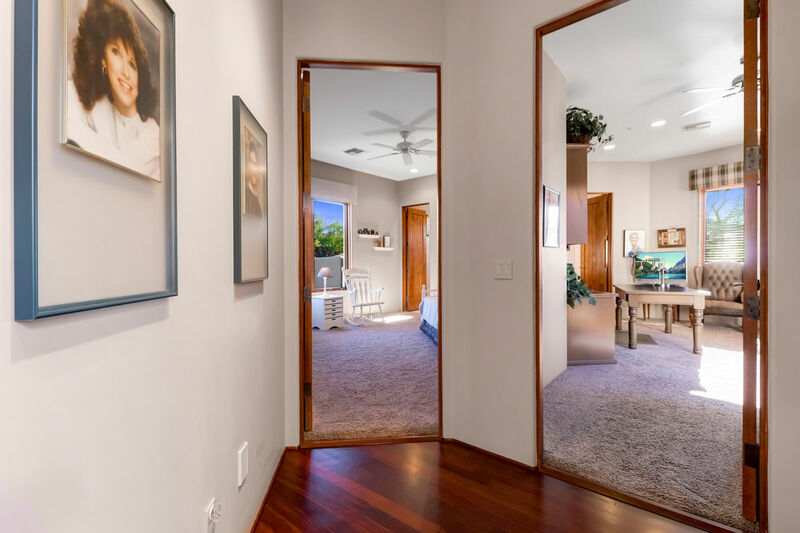 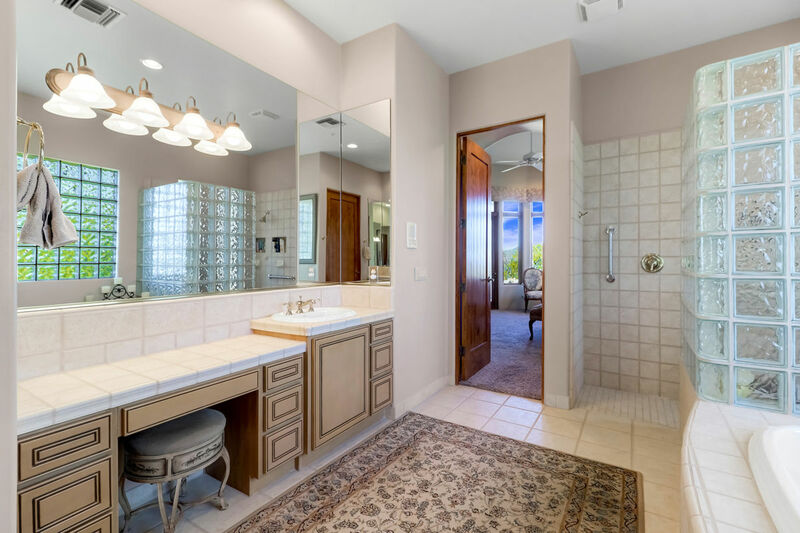 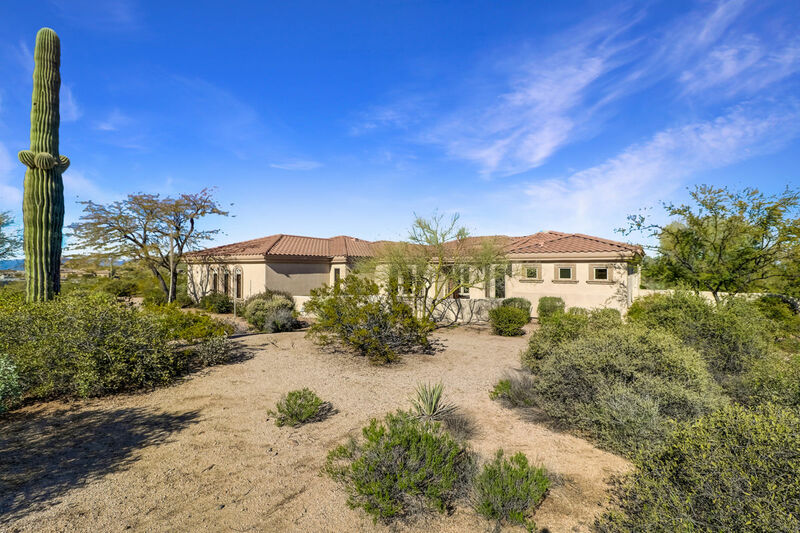 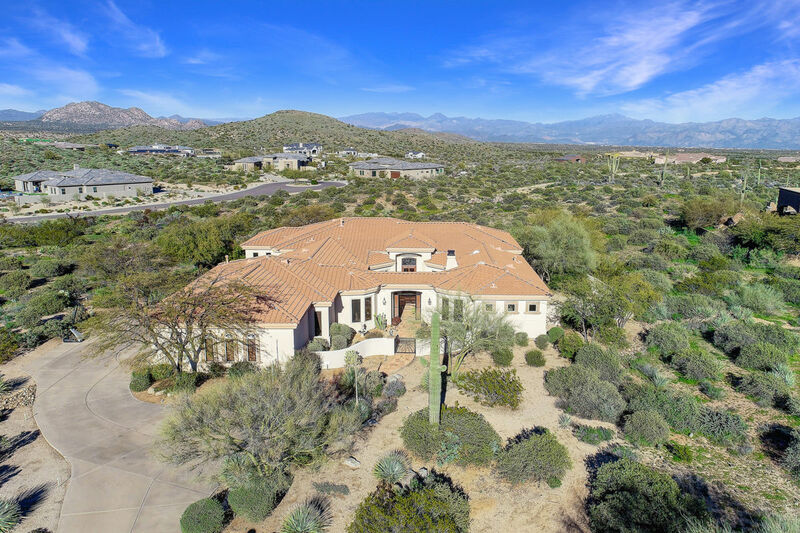 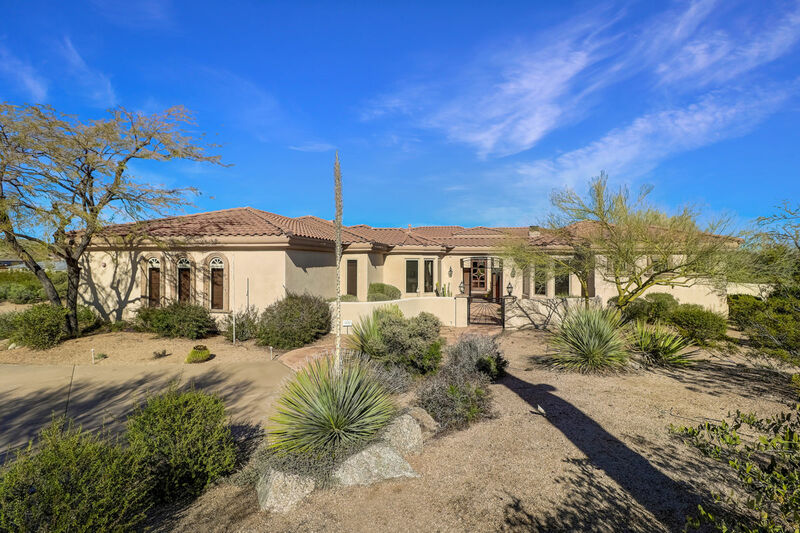 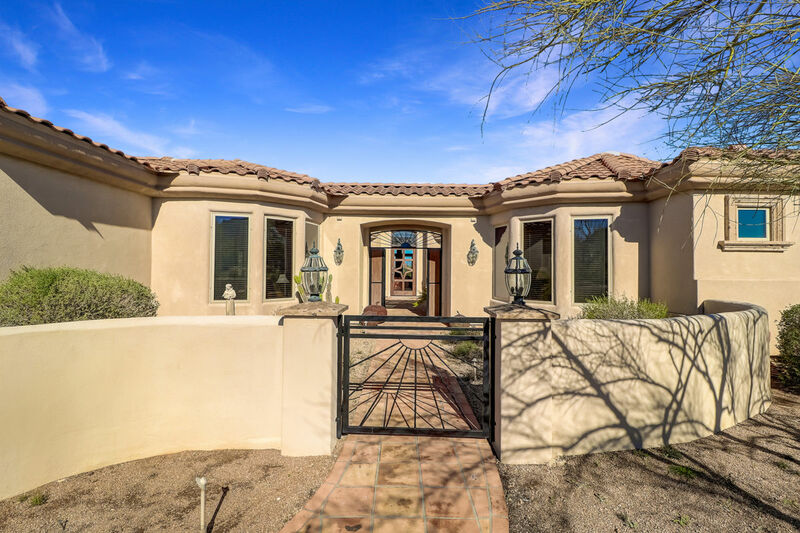 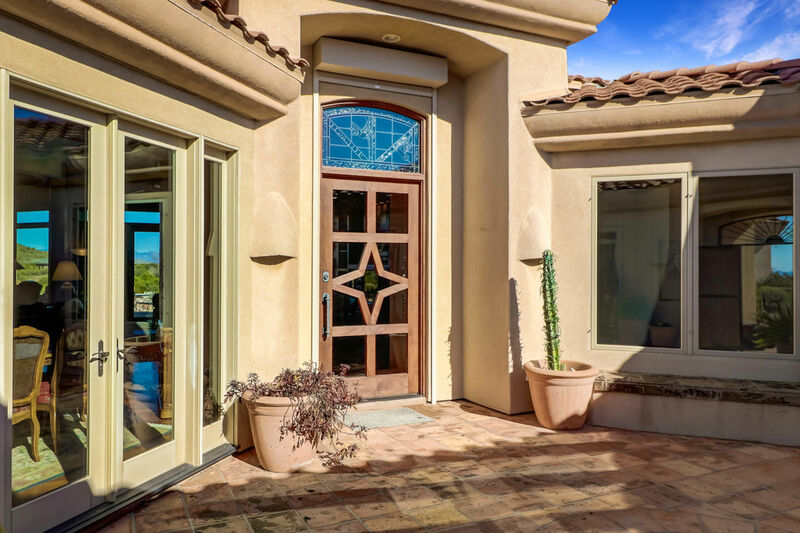 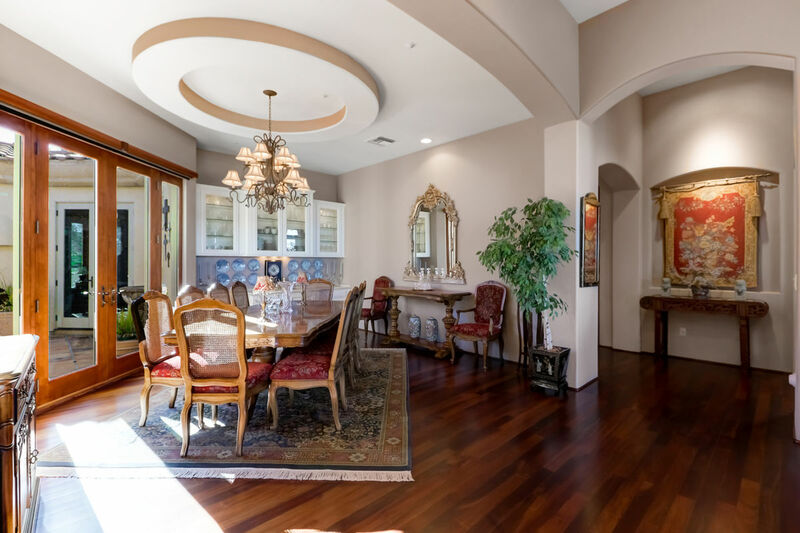 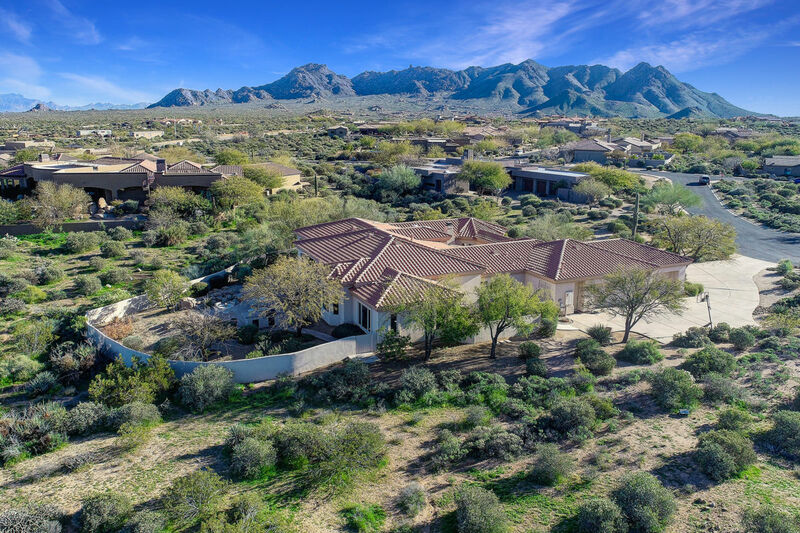 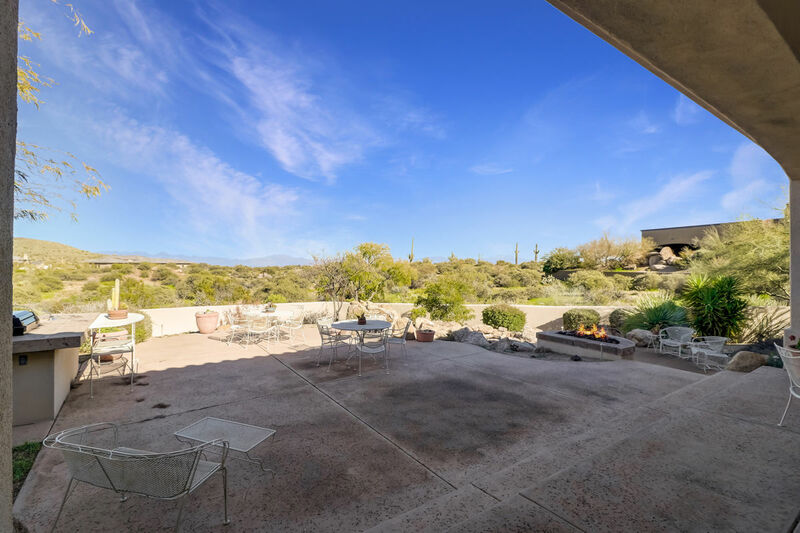 This lovely private custom home in gated Desert Summit is located on over one and half acres at the end of a cul-de-sac. 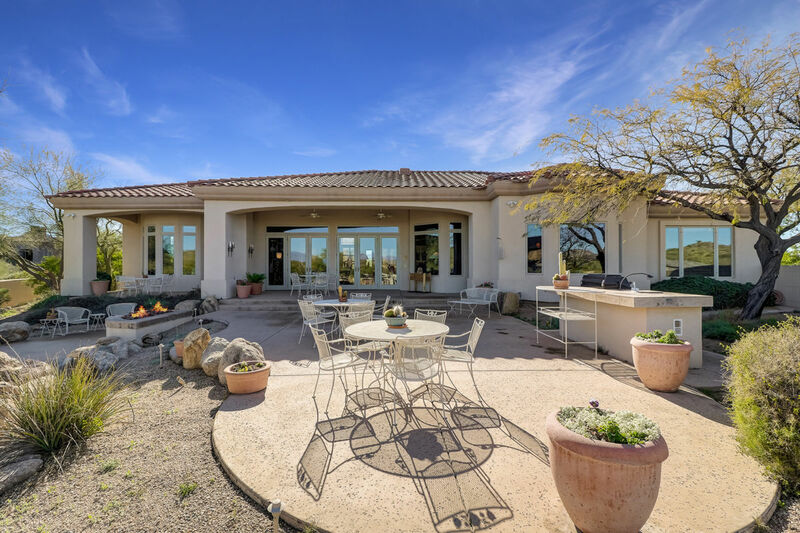 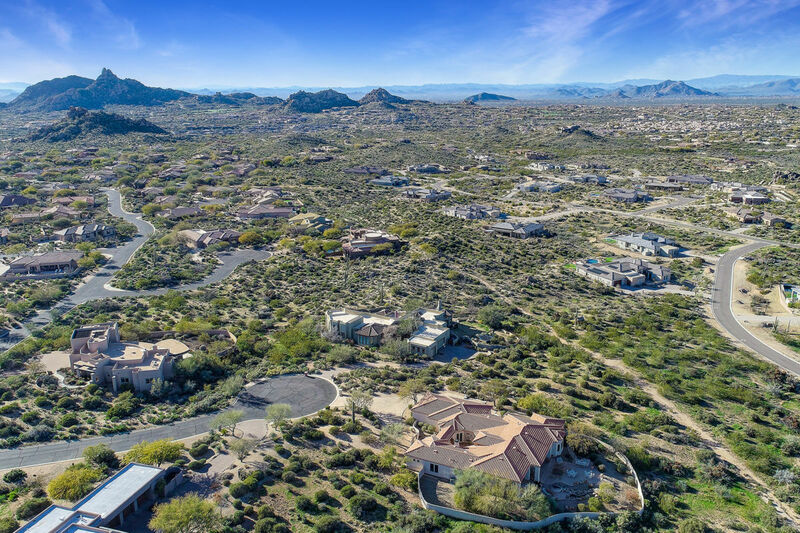 The beautiful Sonoran desert provides the perfect backdrop. 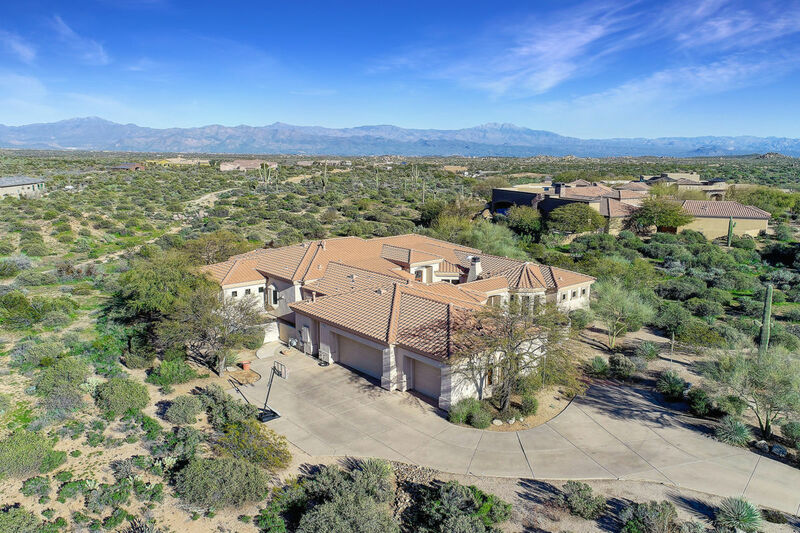 The extended drive leads to the expanded side entry three-car garage and the guest pathway ushering you to the dual gated courtyards. 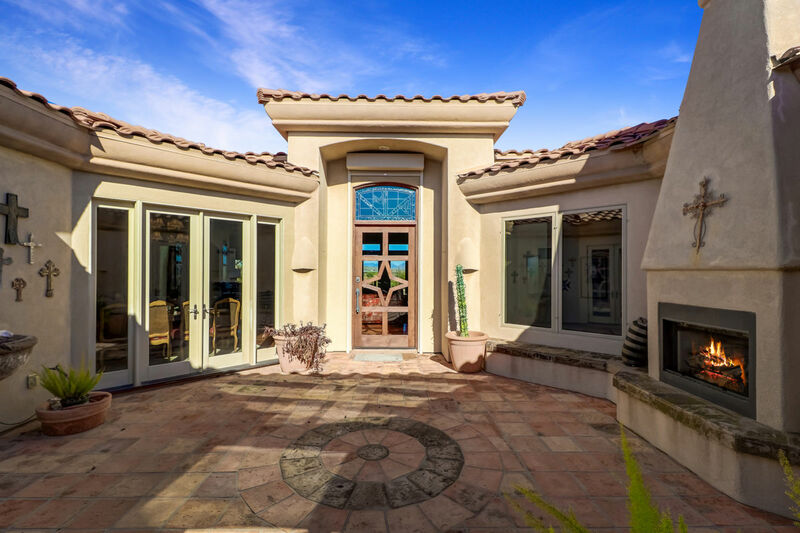 The geometric shaped interior courtyard is the heart of the home with a centerpiece fireplace perfect for gathering and several interior access doors. 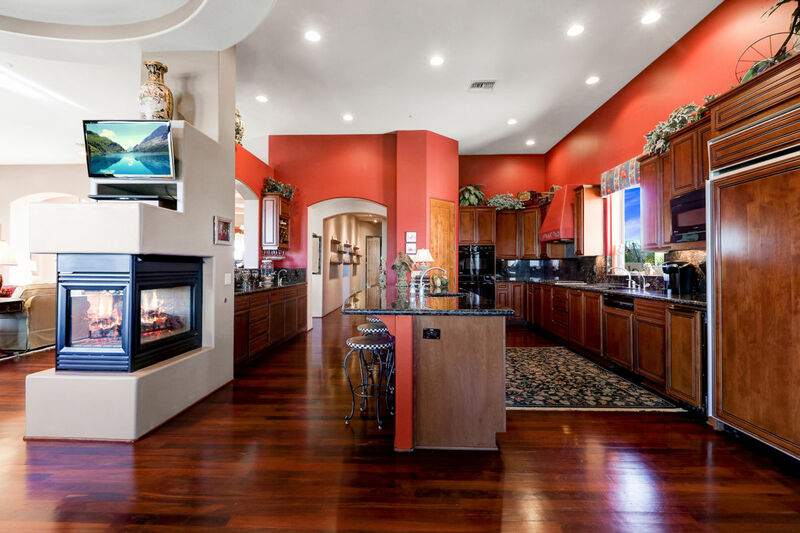 An expansive kitchen features several counter top prep areas including a large center island with bar seating, custom alder cabinetry, GE Monogram appliances, wet bar with sink, walk-in pantry, and a three way fireplace leading to the charming sitting area. 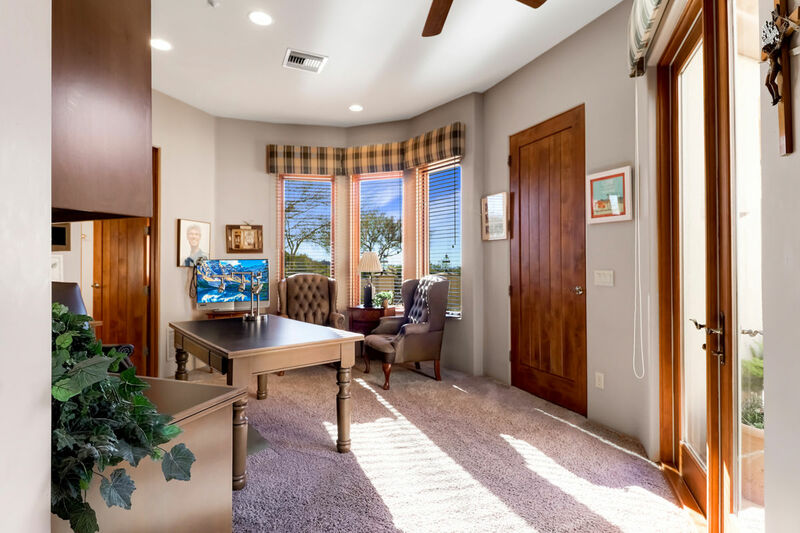 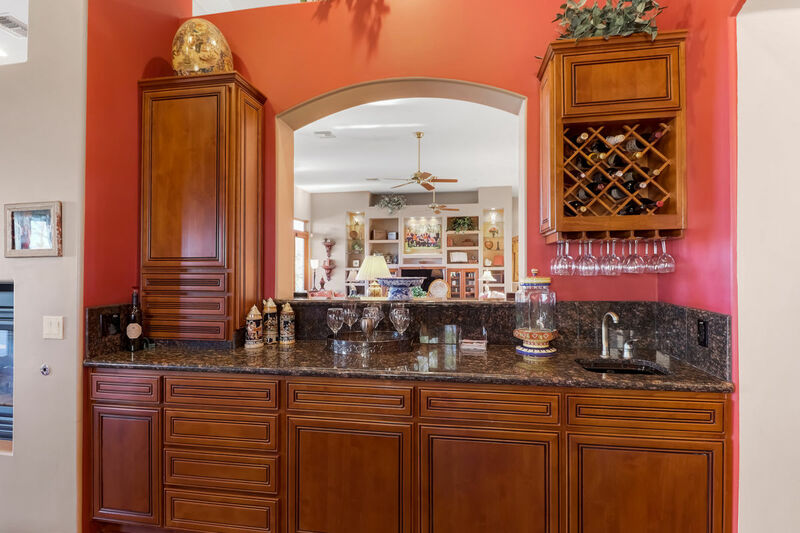 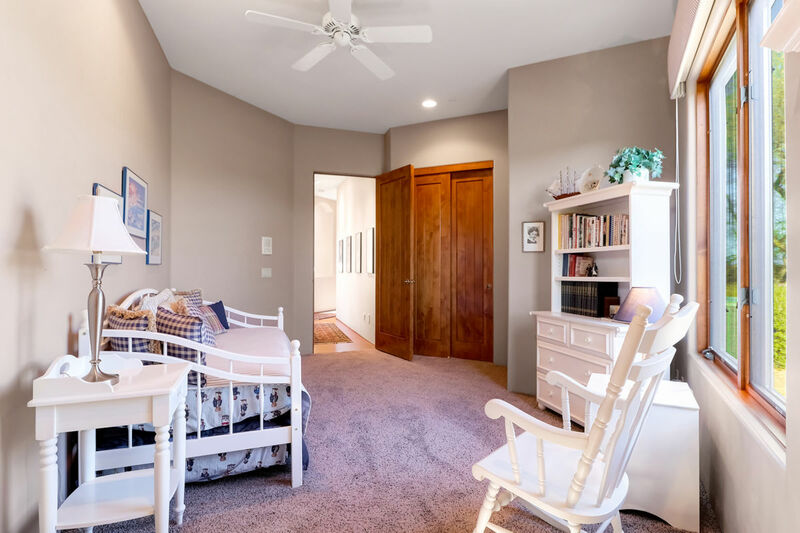 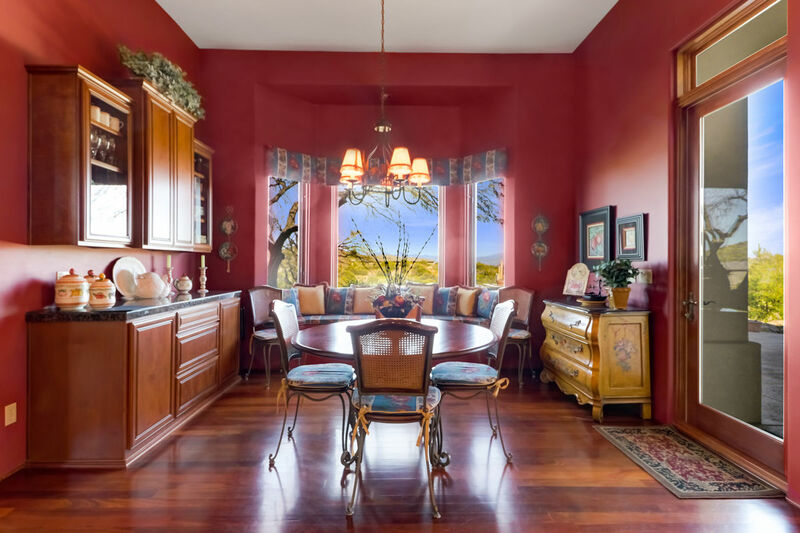 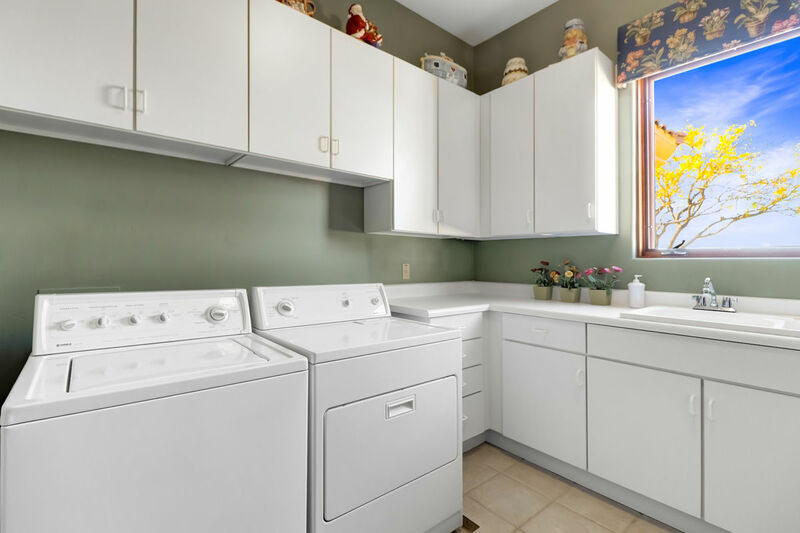 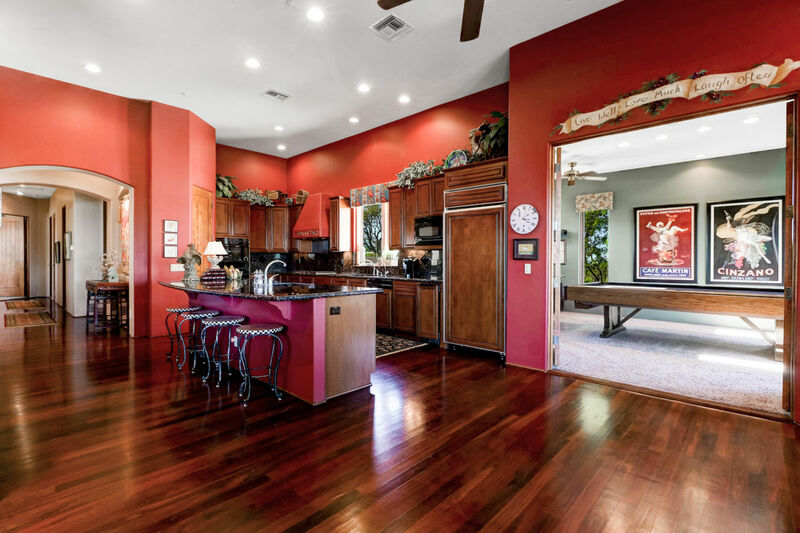 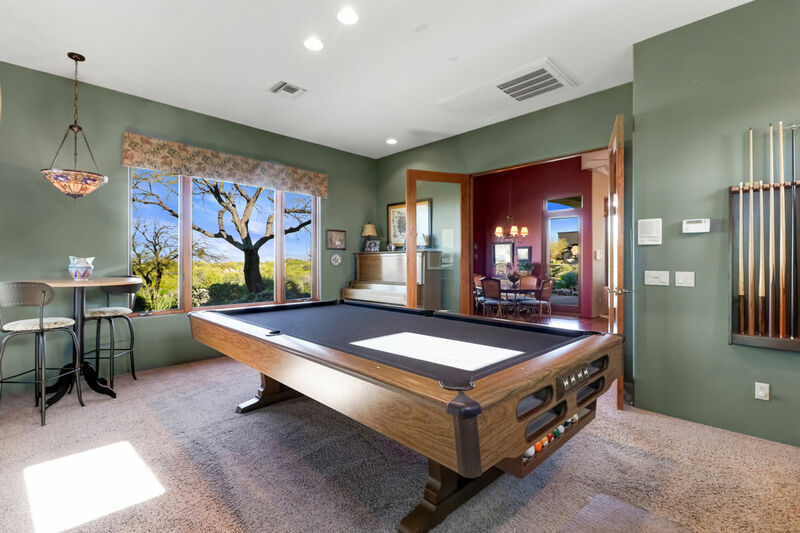 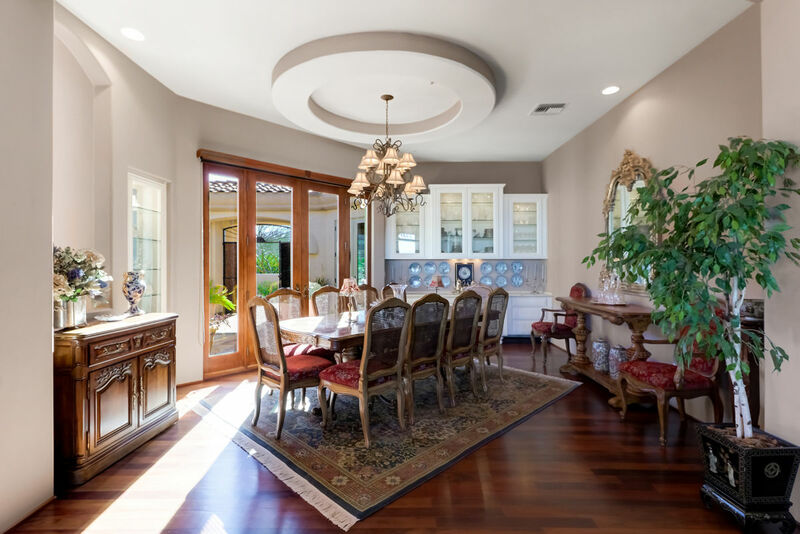 The kitchen connects with the large breakfast nook with serving bar and built-in banquette, and access to the bonus room which could be used as a family or game room. 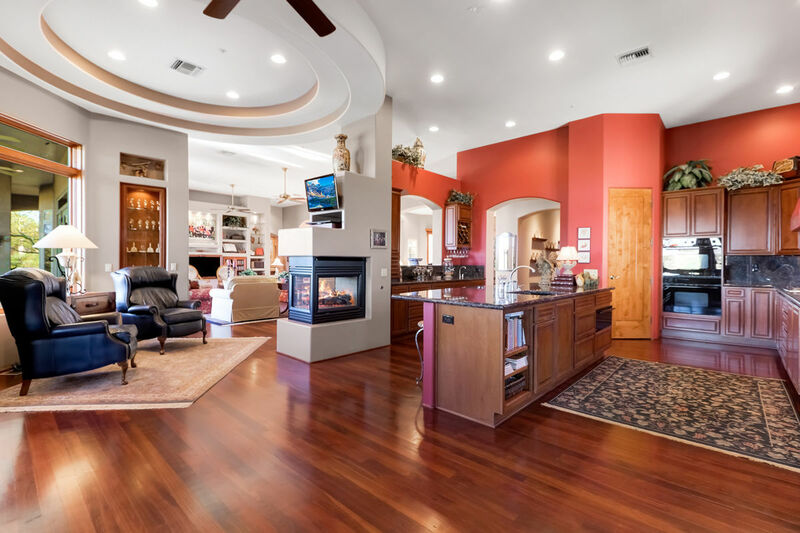 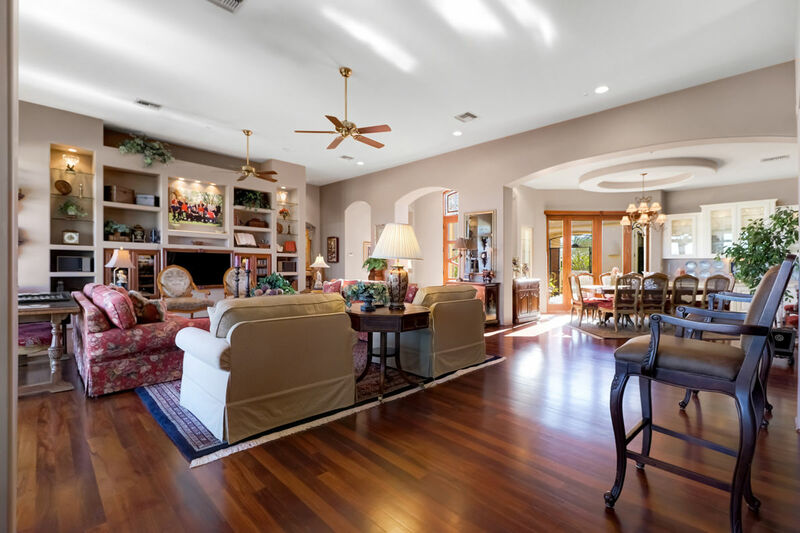 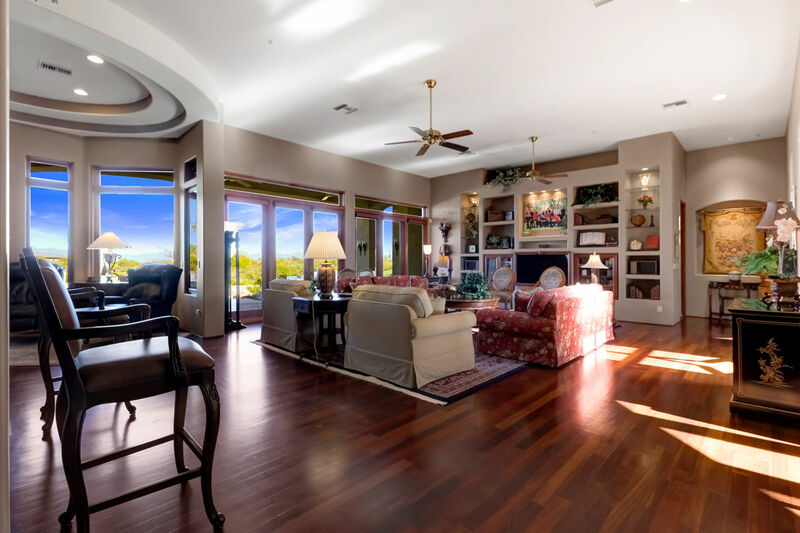 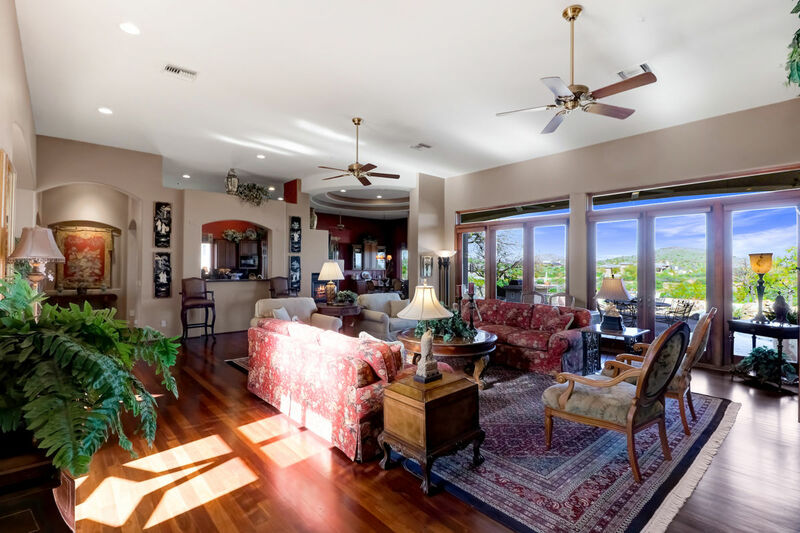 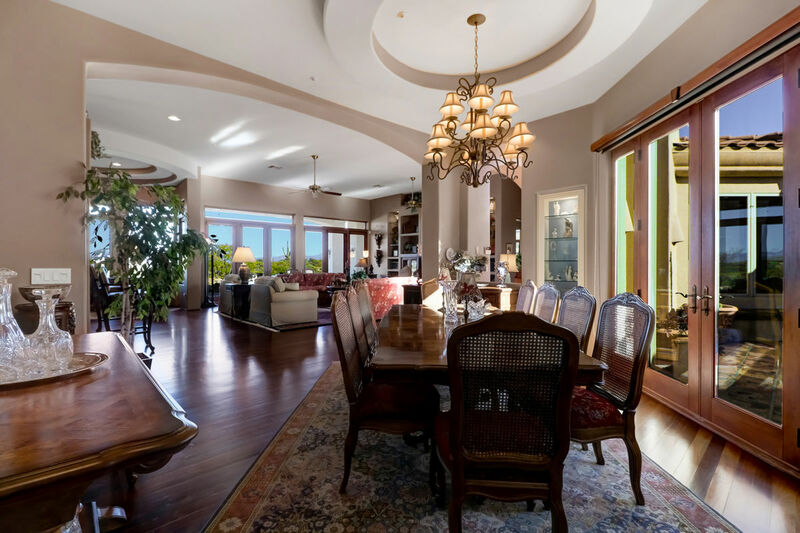 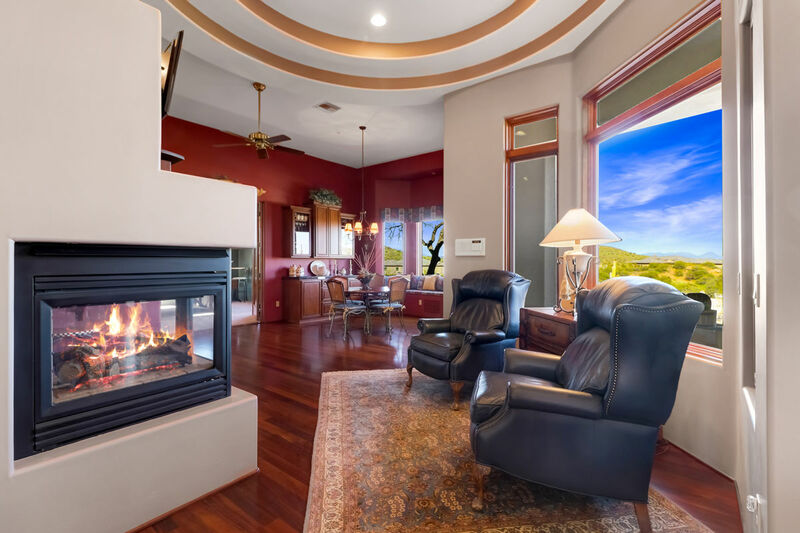 The living room is a warm space with Brazilian cherry wood floors and a wall of windows and French doors allowing for lots of natural light. 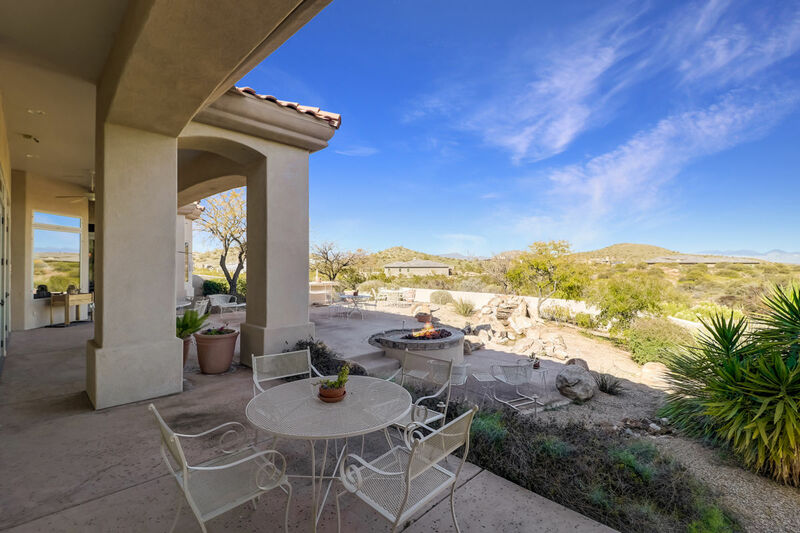 Rolling elevation, mountain views and endless sky create a picture perfect and peaceful backyard environment. 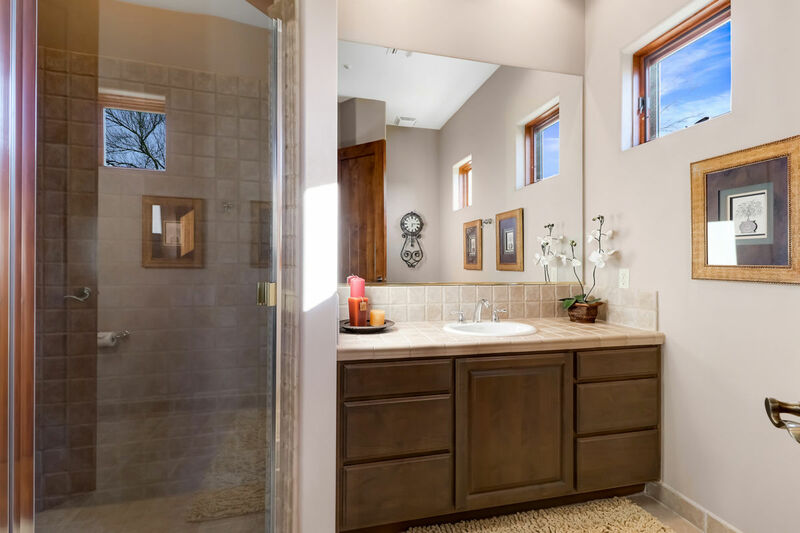 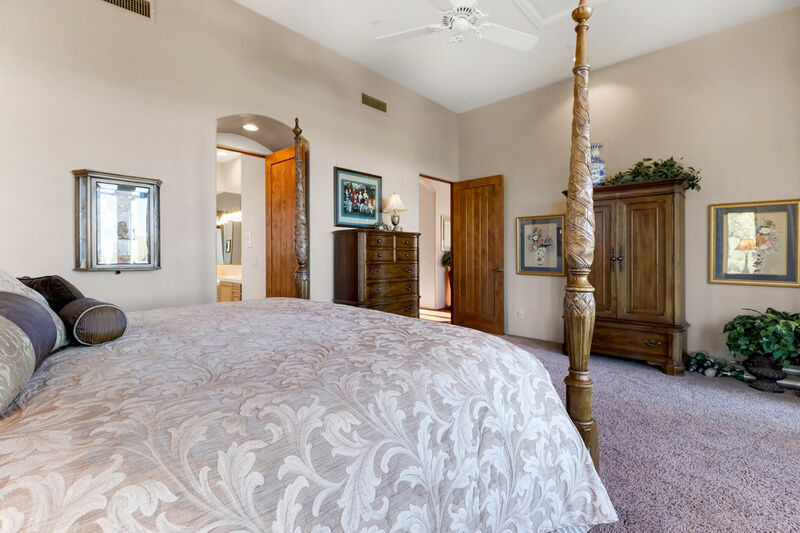 Four ensuite bedrooms including a spacious master suite and just over 4,200 square feet provide plenty of space to make this home your own.